patterns > The Fibre Co. > Waves Collection for The Fibre Co. 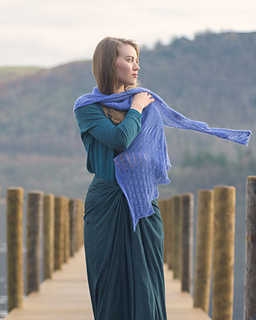 Waves Collection for The Fibre Co.
Portinscale is an obtuse triangle knit from tip to tip, with a self finishing edge. 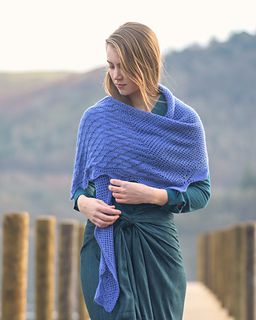 Sharing some of the same motifs of the larger scale Lingholm shawl, Portinscale proposes a simpler yet similarly elegant scarf option. 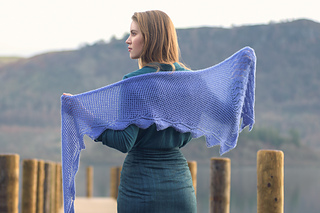 The scarf is knit in stockinette lace, with a purl ‘rest row’ between work rows. The pattern is knit from charts.